The stock was up 2% to Rs 127 in intra-day trade on Wednesday, its highest level since September 18, 2018 on the BSE. 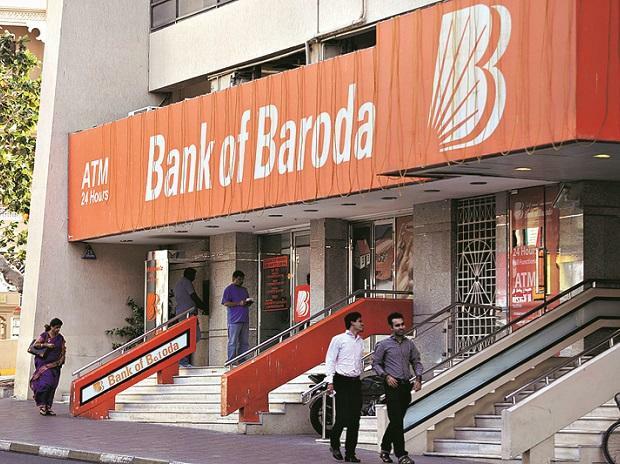 Shares of Bank of Baroda (BoB) hit a six-month high of Rs 127, up 2 per cent on the BSE, outpacing the market by surging 23 per cent in past one month. In comparison, the benchmark S&P BSE Sensex was up 7.5 per cent during the same period. The stock of state-owned bank was trading at its highest level since September 18, 2018 on the BSE in intra-day trade on Wednesday. BoB last month said the merger of Dena Bank and Vijaya Bank with itself would be effective from April 1, 2019 as per the scheme of amalgamation approved by the government. The bank had fixed March 11 as record date for issuing and allotting equity shares of the BoB to the shareholders of Vijaya Bank and Dena Bank. As per the Scheme, shareholders of Vijaya Bank and Dena Bank got 402 and 110 equity shares of BoB respectively, for every 1,000 shares held. “With the share swap ratios for BoB-Dena-Vijaya merger confirmed, the Management is in the process of finalising the roadmap on operations and growth strategy. We are of the view that performance of the Bank may witness some hiccups due to merger related issues over the near-to-medium-term,” analysts at Reliance Securities said in company update. Nonetheless, we believe non-performing assets (NPA) recognition cycle for the public sector banks (PSBs) is largely complete. Moreover, the Bank’s healthy growth expectations, industry best provision coverage for NPAs, improving asset quality trends, and strong capital position, allude to higher valuation than what is attributed currently, the brokerage firm said in report dated January 30, 2019. It has ‘buy’ rating on the stock with target price of Rs 130 per share. “BOB’s Tier-I ratio is currently at 9.86 per cent but will require growth capital post-merger with Dena & Vijaya but should not be an issue to be acquired from government. We closely watch the merger nitty-gritty especially on opex, capital and margins. Risks from asset quality from combined entities have been largely covered by strong balance sheet of BOB,” analysts at Prabhudas Lilladher said in Q3FY19 result update. The brokerage firm retains ‘buy’ rating on the stock with target price of Rs 161 per share.